Aware of new policies to promote durability, and aware of the demands of consumers, the most visionary businesses are developing new products that are easy to repair. 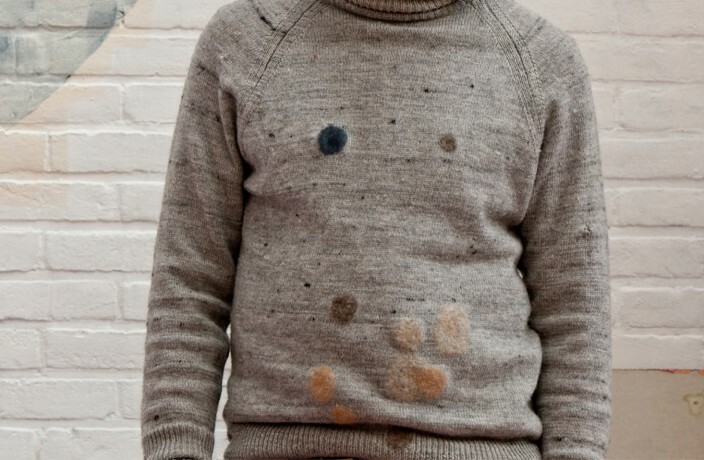 A self-produced design kit created to suggest ways of repairing little holes and disguising indelible stains on woolen items. 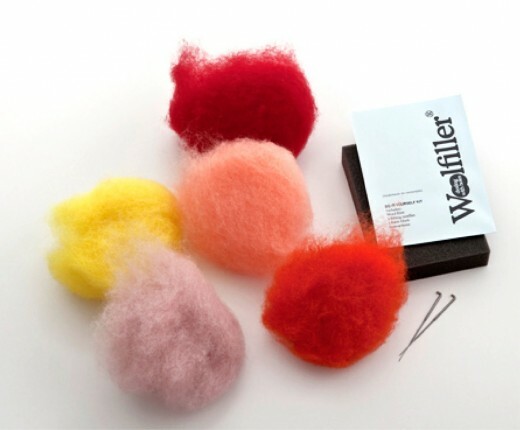 Applied by hand or with a special machine to anything that can be stitched, the kit has a registered trademark and is sold online. 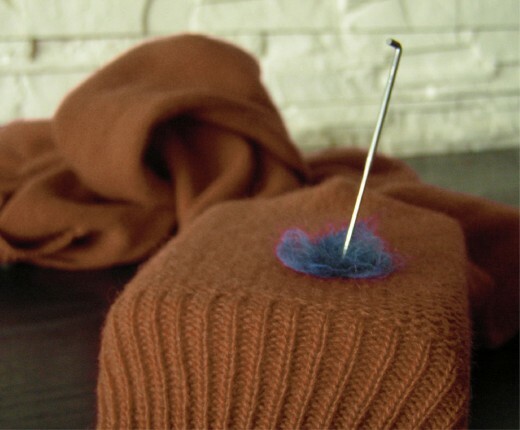 It works because wool fibers contain tiny scales that open up when they are pricked with a felt needle. The open scales bind together and will no longer separate, even during washing.